TAKE THE TEST - SEE WHO YOUR ANIMAL GUIDE IS? You are the Healer and it is time to move on from the Emotional Body into your next big adventure. Here we start to shed our personal stories that hold us locked into worries about the past. Like the Wolf we had our time of introspection and loneliness where we used our own guiding light to bring us through the world of mystery and night. 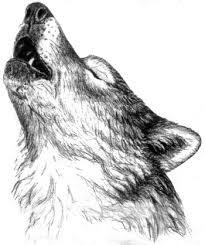 The wolf as your alley has demanded much of your time and sincerity during this journey to make sure you were ready to move on, and in return his energy was always their to help you, giving you extraordinary powers of endurance. You have learned the wolfs call, and it now resides deep with in you, that voice that you have honored and been patient with to learn all the wisdom that the wolf was hear to teach you. You are the Spiritual Warrior and it is time to move on from the Physical Body into your next big adventure. Here we learn lessons of letting go and changing our relationship to life and death. We meet face to face with our shadow side and gain understanding that helps us to clear our energetic field to move more freely within our different plans of existence. Like the Bear we must learn about introspection and understand that within ourselves we already poses all of the answers to our questions. Bear reminds us that we carry with us bags of wisdom that can only be accessed when we slow down enough to uncover the answers. When you have accepted the teachings of Bear you are ready to release you affliction to being overly confident and quick to act. You release fear for good and trust in the unwavering support of mother earth and all of her wonders. You are the Shaman and it is time to move on from the Mental Body into your next big adventure. Here we learn the wondrous teachings of the shamanic tradition, the north is the home of the master, the sage and the wisdom keeper. Those who walk with the Buffalo walk a sacred path, honoring all walks of life. Buffalo will keep you grounded while you seek into the stars. Those in the care of the Buffalo must learn that true prosperity comes when you have gratitude over all things life brings to you, by allowing yourself to recognize harmony and balance in all things the universe provides you will become the master of abundance. When you have accepted the teachings of Buffalo you are ready to release you tendencies towards bottling up frustration and allowing these emotions to become unpredictable and violent. By releasing stress and uncertainty the one that walks with the Buffalo will find everlasting happiness in all gifts life has to offer. You are a Visionary and it is time to move on from the Spiritual Body into your next big adventure. Here you will learn all the powerful steps of creation as well as the importance to bring your projections and limiting beliefs around reality to a consciousness place. 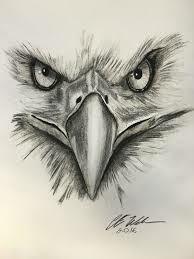 Like the Eagle you must begin to see from a greater vantage point than which you currently stand and learn to soar above your limiting beliefs to gain all the necessary information so that you may begin to attain your divine destiny. Eagle reminds us that we always have the power to courageously face our fear of the unknown, so we are able to fly as high as our heart's joy can take us. When you have accepted the teachings of Eagle you are ready to soar among the stars, but be warned for an Eagle who uses his privileges in an incorrect way is one broken wing away from never touching the stars again so remember to utilize your talents correctly and when in this place of honored esteem be confident and trusting in your abilities, but never misuse your powers. Honor the shadow and the light as you make both when you soar so high above all.